How to obtain copies of New York vital records, such as New York birth certificates, New York death records, New York marriage licenses & New York divorce decrees. See the guidelines for general information on how to order vital records. Check the related links for additional vital records and genealogical information on New York. Please note: Genealogy Requests for an uncertified copy of a record are $22.00 and may take from 9 to 10 months to process. This includes a copy of the certificate, a three-year search of the index, the retrieval and re-filing of the microfilm/microfiche and either a copy of the record or a no record report. When more than a three-year search is requested, the fee is higher. For the area outside of the five boroughs of New York City (except for births occurring in Queens and Richmond counties for the years 1881-1897). For vital records in the five boroughs of NYC contact the New York City Dept of Health. You may also send your request directly to the local registrar or town clerk of the city, town or village where the birth or death occurred. A marriage license may be obtained from any town clerk in the state. The time periods listed below for obtaining a vital record are waived if the applicant is a descendant or has been designated to act on behalf of a descendant of the person whose record is being requested. The $11.00 fee for a genealogical copy includes both a copy of the certificate (marked "For Genealogical Purposes Only.") and a search of their files for up to three years. If they can find no certificate for the event, you will receive a "No Record Certification" form. An index to genealogy records is available for searching at the State Archives, located at the Empire State Plaza in Albany. Contact them for more information about using this index. Genealogy copies are available (see prices) if the certificate has been on file for at least 75 years and the person whose name is on the birth certificate is known to be dead. Genealogy copies are available (see prices) if the certificate has been on file for at least 50 years. Genealogy copies are available (see prices) if the certificate has been on file for at least 50 years and the bride and groom are both known to be deceased. Yonkers: City Clerk, City Hall, Yonkers, NY 10701. If the records are not available at the State office, they should be available from the County Clerk in the county where the divorce was granted. times, petitions for divorce had to be made to the governor or legislature, and only a few were granted. The court of chancery granted divorces from 1787 to 1847. These older records are in the State Archives. Birth and Death records are filed with the Clerk of the city, town or village in which the event occurred and, normally, with the New York State Bureau of Vital Records. A marriage license may sometimes be obtained from the town or city clerk who issued the license. The fee is $10.00 if you obtain a certified copy from a town or city clerk. Since 1847 divorce actions in New York have been handled in the supreme court for the county in which the divorce was heard. New York divorce files, however, are sealed for one hundred years. Counties keep land transfer records, wills, probates, etc. An index to genealogy records is available for searching at the State Archives, located at the Empire State Plaza in Albany. Contact (518) 474-8955 for more information about using this index. The indexes at the New York State Archives in Albany, NY do NOT include those for the boroughs of New York City. Albany . Allegany . Bronx . Broome . Cattaraugus . Cayuga . Chautauqua . Chemung . Chenango . Clinton . Columbia . Cortland . Delaware . Dutchess . Erie . Essex . Franklin . Fulton . Genesee . Greene . Hamilton . Herkimer . Jefferson . Kings . Lewis . Livingston . Madison . Monroe . Montgomery . Nassau . New York . New York City . Niagara . Oneida . Onondaga . Ontario . Orange . Orleans . Oswego . Otsego . Putnam . Queens . Rensselaer . Richmond . Rockland . Saratoga . Schenectady . Schoharie . Schuyler . Seneca . St. Lawrence . Steuben . Suffolk . Sullivan . Tioga . Tompkins . Ulster . Warren . Washington . Wayne . Westchester . Wyoming . Yates . Examining how the history of local persons affects our communities today is growing in interest. The leisure pursuit of making a family tree is becoming more and more popular, as people want to find out about their ancestry. Figuring out who the founders of a local township is an original colony of the United States is enriching to the area residents. High school and college students often need to research historical documents as part of an assignment. There are many reasons to study people of long ago, so it is of utmost importance to know the procedure by which to obtain this history. 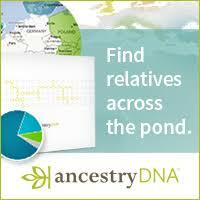 If you are wanting to put together your very own family tree, then you are not alone. The subject of genealogy is going through a growth spurt these days. What you want to do is going to be a wonderful gift to future generations in your family line. Don�t suffer from intimidation when you are just venturing out on this new mission. Doing the very first steps comes quite easily. Are you aware of the basic information of the immediate members of your family? If you offer the names and dates of birth of these people to your blank family tree, then you�ve already improved upon the blank sheet of paper. It should make you sense a feeling of accomplishment by doing this, too. A thorough investigation into the New York vital records should be next in the process of archiving your ancestors. The New York vital records have critical papers that contain birth and death data that will make your family tree flourish. With the information on these records, you can record your newfound data to your project. The state of New York knows the public demands these dates when the public needs them, so it offers the information on these documents to all. Local citizens may band together to form a group that will record a history of area people. They want to bring a great service to their community, diving into the region�s past and seeing how the history is relevant to the present. The New York vital records come alive with a sense of a community�s starting point, and you can ascertain the birth and death dates of these people who lived hundreds of years ago. Some wary students panic when they realize they have to compose a dreaded research paper. If you have received excellent grades on research papers in the past, then you may already know the importance of the New York vital records. Teachers of varying grade levels want students to explore local history. Where can a nervous student get the data she needs on local historical subjects? The aforementioned documents, which include birth certificate and death date data, reveal the wanted background information. It is a must-see resource for your needs as a student.